Can I See Speaker Notes in Pear Deck? 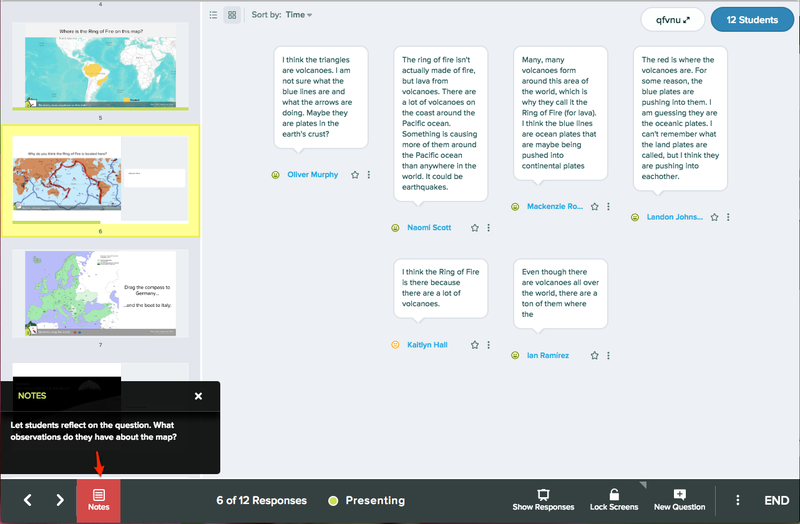 When you use the Pear Deck for Google Slides Add-on to present your slides, any speaker notes you insert will be visible from both the Projector View and the private Teacher Dashboard (a Premium feature) when you present with Pear Deck. This means you can walk around the classroom with a tablet, keep an eye on your presenter notes so you remember those main points, control the slides, AND see student answers in real time. Install the Pear Deck for Google Slides Add-on. 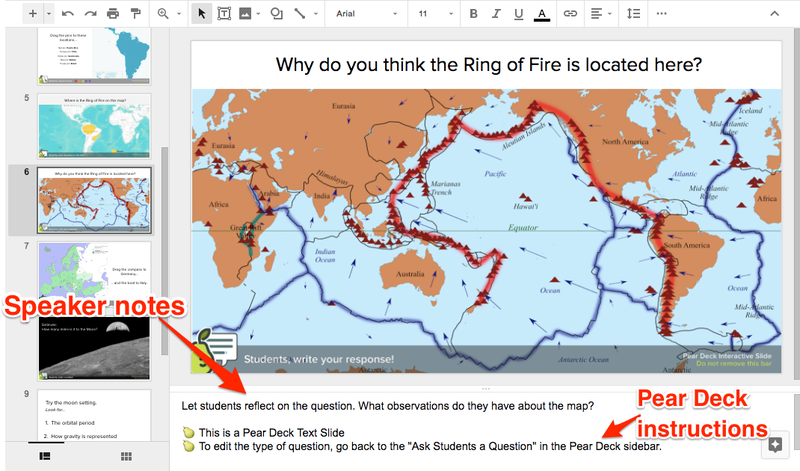 Create your slides in the Google Slides editor, adding interactive questions and formative assessments with the Add-on. Learn how here. Optional: Add notes to the Speaker Notes section beneath the slide. Pear Deck inserts slide instructions into the Speaker Notes section too, but they will not show up in your presentation. When you're ready to present, open the Pear Deck Add-on and click the green Present Lesson button. During the presentation Session, the Notes button will appear on the Navigation Bar. Open and close your notes by clicking the button. You can open them on both the Projector View and the Teacher Dashboard.